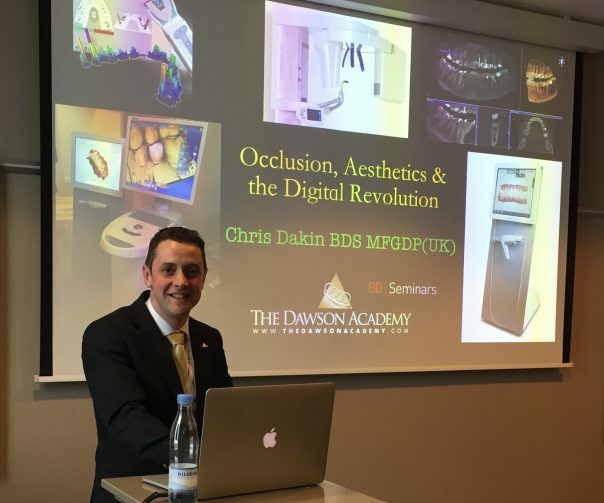 Carisbrooke associate Chris Dakin gave a lecture in Copenhagen on Friday 5th May at the Dentanet Digital Dentistry Symposium, entitled Occlusion, Aesthetics and the Digital Revolution. Chris presented on behalf of Ian Buckle who also spoke at the conference on the following day. Ian leads the Dawson Academy UK continuum and is speaking at Carisbrooke’s Study Day on May 20th 2017. Chris is a Dawson Academy UK teaching assistant, teaching other dentists from the UK and Europe the Dawson philosophy of complete care dentistry. Following his lecture, Chris was able to enjoy the rest of the conference, which was highly informative about advancements in digital dental technology and gave opportunities for networking with dentists from across Scandinavia.